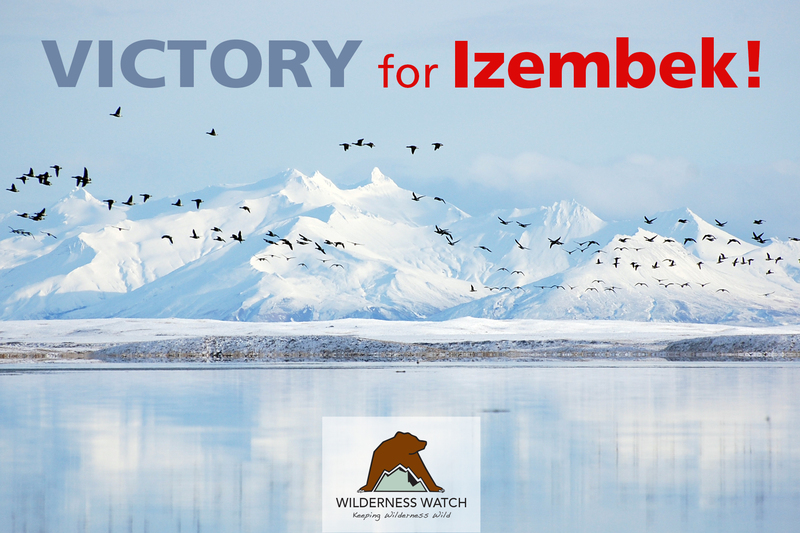 Victory for the Izembek Wilderness! We just won our lawsuit against the Trump administration's illegal attempt to build a road through the heart of the fabled Izembek Wilderness and Izembek National Wildlife Refuge in Alaska! This past Friday, a federal judge ruled against former Interior Secretary Ryan Zinke's closed-door agreement for a land exchange of federal public lands to allow the State of Alaska to punch a road through this spectacular Wilderness. On January 22, 2018, then-Secretary Zinke signed the secret land exchange agreement to facilitate the building of an 11-mile-long road through the Izembek Wilderness. Nine days later, Wilderness Watch and several co-plaintiff organizations filed suit to stop the road. The Izembek National Wildlife Refuge is 95 percent Wilderness, contains critically important wildlife habitat, and is a major crossroad for international bird migration. A road slicing through this wild masterpiece would be an unspeakable travesty. Over the past several years, thousands of you wrote letters to decision-makers and contributed to our efforts, so this victory belongs to you! Many thanks and kudos to Trustees for Alaska for representing Wilderness Watch and the other plaintiffs in the lawsuit.